For 90% of my work I use Duffus Traps. These are often referred to as half barrel traps. 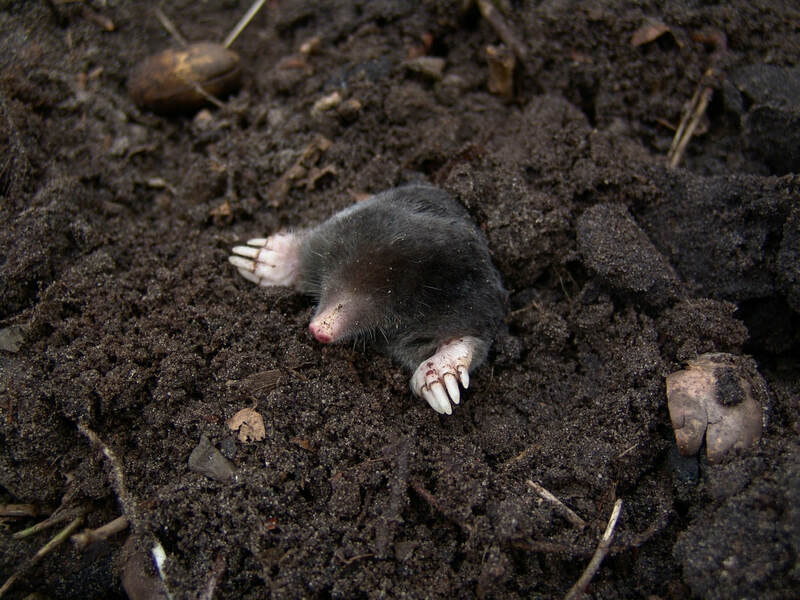 One of the advantages of this form of trap is that it is double ended and catch moles entering it from either end. These traps are placed in the active mole run, covered up with soil and left for the mole to tunnel into. When this occurs the trap is sprung and the moles demise is both quick and clean. The alternative trap I use is a Talpex trap which is a claw trap. This does much the same as the Duffus trap but can be used in situations or locations where the Duffus trap is impractical. One of the problems with this type of trap is that it tends to protrude from the ground unlike the Duffus trap which is set completely underground. Both types of trap I use are of the very best quality with very strong springs, and made to a high standard, so as to be instantly effective. The better quality the trap, the more efficient it will be, this in turn will lead to a quicker and therefore more humane mole despatch. Any form of trapping has its risks, so before I start work at any location, I will ask a number of questions. I need to know if there are children or animals in the area, who might disturb and therefore set off traps. This is especially important with both young children and dogs especially those who like to dig in gardens as they could get injuries either to fingers in the case of children or noses and paws in the case of dogs. I can take steps to avoid this happening but I need to know before trap setting. Another hazard can be lawnmowers as if they run over traps they can cause damage to both the trap and the machine. I always mark my traps with small flags or if they are in areas open to public view I use more subtle methods to avoid inquisitive people discovering the traps and either stealing, or disposing of them. Under normal circumstances I can work with a customer to ensure the area I am working on will be as safe as is possible. I am fully insured for carrying out my work as a Molecatcher. I will set traps in the areas where the mole or moles are hunting. I will make a full record of the numbers of traps I have set and their locations. You will receive a copy of this for your reference if you require it. The traps will be overtly marked so you are fully aware of their location. I will return and check the traps, remove any trapped moles and check for any new activity. I will reset any traps that require it. Basically a repeat of Day 2 although I may move traps around and will continue regularly until I am satisfied that all moles have been caught or mole activity is negligible. At the end of the job I will remove all traps from your premises. If required I will show you any moles I have caught before disposing of them. 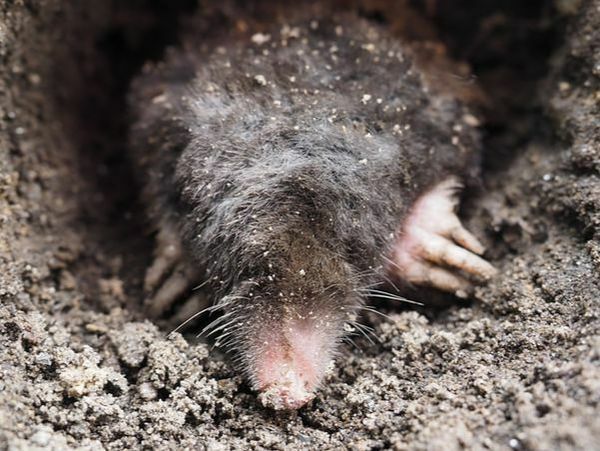 The first recorded mole catchers were the Romans who used upturned pots sunk into the earth which moles would fall into and not be able to escape from. There are gadgets on the market such as plastic mole windmills and vibrating probes which are claimed to scare moles away from gardens. 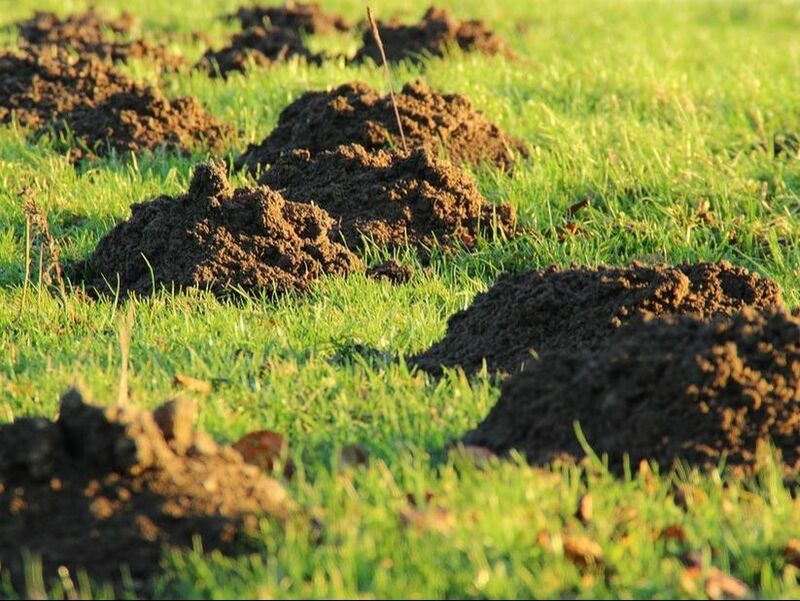 However, look around and see how often molehills appear next to busy roads, the moles that create these are not scared off by vibrations so it is unlikely that a mole will be scared off by a vibrating probe. There are also a number of old wives tales surrounding scaring moles away which include flooding their runs with water from a hosepipe, this doesn't work as moles can a) swim and b) have a complicated tunnel system made up of a number of levels which avoid them being flooded out. Another favourite is upturned bottles on canes, although how this is supposed to scare a mole away I do not know! The only way to effectively attempt to control the mole population and therefore minimise the damage they cause is by employing a mole catcher who understands how the mole thinks and works. When mole catching, I rely in the main on good quality barrel traps which are placed underground in the moles run. When triggered the mole is despatched humanely. As the mole is both a haemophilic and very susceptible to trauma his end is both quick and clean.